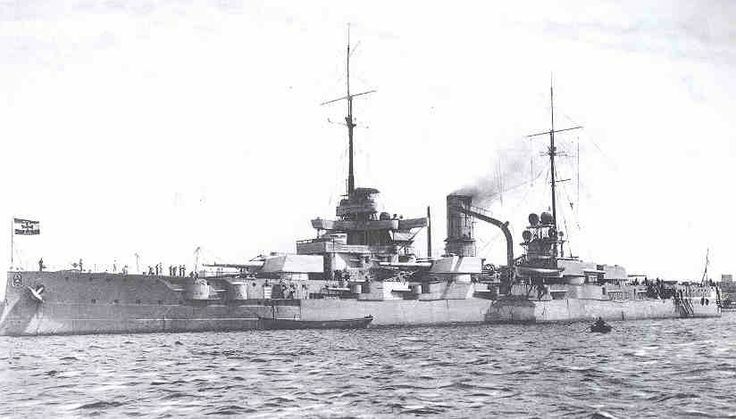 1st dreadnought type in the German navy. Double bottomed. Kapitän zur See Johannes Redlich (Herman Bauer took over command when the Nassau class ships were interned in German ports after the war_Hildebrand). Tarrant p.298 on killed and wounded.